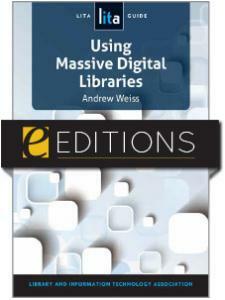 Focusing on the unique requirements and processes of e-book acquisition, this guide will help ensure that your library's e-book collection is both vibrant and cost-effective. 1 What Is Demand-Driven Acquisition, and Why Do It? Theresa S. Arndt is the associate director for library resources and administration at the Waidner-Spahr Library at Dickinson College in Carlisle, Pennsylvania. Her responsibilities include coordinating all aspects of collections management and e-resources services. She has worked at multiple libraries over her 20-year career, managing various library services including reference, information literacy, and outreach. "Deliberating relevant questions and backing up the answers with research, this title provides a framework for thinking through the concept and workflow of DDA … Essential reading for academic and public librarians." 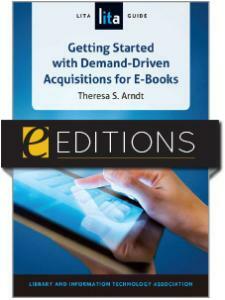 "While many library professionals have heard the acronyms and perhaps have even had exposure to this acquisitions method, Arndt's guide provides explanations and helpful checklists of considerations, as well as her library's recent experience with implementing demand-driven acquisitions .. A worthwhile addition for many technical/access services departments' professional literature collections. It is appropriate for all libraries who have not yet implemented demand-driven e-book acquisitions at their libraries and are interested in a holistic view of the considerations this process entails." "Provides a thoughtful approach to understanding the questions to ask and the implications of decisions … This is an important addition to the literature on a key topic affecting the library's acquisition methods for books, discovery issues and collection management in a patron-focused era."